Public wifi has serious security problems, the security of the network is deeply attacked by hackers, there have been many cases of using wireless network crime. In the face of such threats, you may need a wireless jammer device to protect your information. WiFi and Bluetooth both used 2.4GHz frequency band ,it being used for indoor tracking, which means someone can know your location indoors through the hotspot location triangulation,similar to the cell phone tracking.The hackers can gain your confidential informations using the network, which violate your privacy rights. Jammer-buy store provides you with many wireless signal jammers can help you protect data privacy. In addition,to fulfill your different demands, the signal jammer has jamming many frequencies, such as GSM 3G 4G WIFI or GPS. 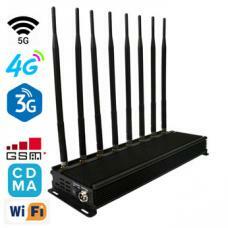 This portable signal jammer device jamming multiple signals such as GSM/3G/4G LTE,WiFi,GPS/LoJack tracking signal. 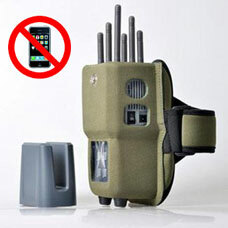 Handheld wireless jammer disturbance radius up 30 meters. 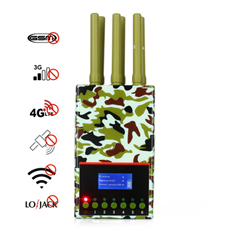 This is a multi-band handheld wifi and mobile phone signal jammer with 10 antennas, jamming 2G, 3G, 4G, WiFi 2.4G/5.8G, GPS L1 - L5, Lojack, Walkie-Talkie UHF/VHF+CDMA450, 315MHz 433MHz 868MHz, radius up to 20 meters, convenient for anywhere. The most popular 4 bands handheld GSM signal jammer can jamming GSM 3G WIFI GPS 433MHz 315MHz 868MHz,jamming radius max up 15 meters. This 4 bands portable and lightweight multi-functional wireless jamming device blocking signal array including GSM+3G+WIFI,GPS+WIFI.The jamming radius is 15 meters strong enough, free shipping. 4 antennas handheld electronic signal frequency jammer, can interfere with many frequencies, GSM, 3G, GPS, WiFi common signal. It also provides remote frequency interference functions of 315MHz, 433MHz and 868MHz. Car charger is convenient and solve the problems of the outdoor power supply, portable and convenient anywhere you use. The portable GSM signal jammer jamming 3G, GPS, WIFI,315MHz,433 MHz,868 MHz,Jamming radius up to 15 meters. Handheld GSM 3G WIFI GPS blocker multiple signal bands are provided for you.With 4 antenna design, with car charger, your car is also convenient to use. 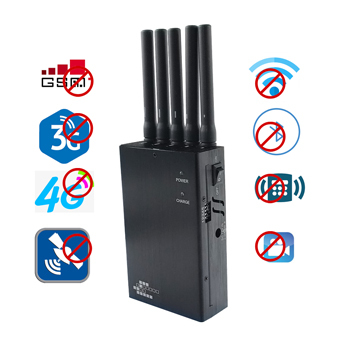 This high power wireless wifi jamming device also can block GSM 3G 4G phone signal and GPS VHF UHF frequencies.Three types of signal combination for your choice.Within the scope of the jamming radius 50 meters to ban mobile communications function. Desktop jammer can jamming GSM 3G 4G WiFi GPS phone signal frequency, block wireless video,wireless network camera and wireless alarm. Powerful blocker be used extensively, jamming radius up to 30 meters. 8 bands high powerful Wi-Fi/Bluetooth Jammers also can jamming with GSM 3G 4G frequency. The jamming radius up to 40m. It is the most used signal jamming device in home or office. This desktop powerful blocker jammer can jamming with GSM,3G,4G,WiFi,bluetooth. Good heat dissipation performance make sure to work long hours.Jamming radius up 40 meters. 2018 most popular high power desktop Wi-Fi/Bluetooth Jammers that interferes with GSM, 3G, 4G, wireless signals.During the signal jammer woking, stopped all the phone device signals with the radius range of 40m. Desktop 4 antennas wifi signal blocker can jamming GSM 3G WIFI GPS signal, and 315MHz 433MHz 868MHz remote control frequency. The maximum interference radius of all interference frequency types is 30 meters. Now wireless networks are so popular that mobile devices rely on them to stop cheating in exams by cutting off wireless networks and cell phone signals. If your child is addicted to the Internet and has no interest in their learning, so you may consider buy a desktop wireless jammer with cheap and used in your home. It for your partner has the same function with mobile networks. So the benefits of using it in your home is very importance. What is a bluetooth jammer? Bluetooth is a wireless technology standard, which can realize the fixed equipment, short distances between mobile devices and building personal domain network data exchange. At present the main use is 2.4GHz, 2.485 GHz ISM band of UHF radio waves. The bluetooth transmission jammers is a device that jamming with this band. Nowadays, people are paying more and more attention to the security and privacy in work and daily life, and they hope to find a good way to prevent their privacy from being attacked or stolen. So it's important to eliminate the potential dangers of WiFi and bluetooth. To meet this requirement, the WiFi/bluetooth signal jammer is the best choice. In addition, install desktop wifi network jammers at home can be very good to ensure the safety of your data. Today, some criminals can use these informations steal your property, or fraud on the people around you. The criminals are so powerful that they can grab any useful information and pinpoint your exact location, your words and actions are likely to be in their eyes. Reasonable use of cheap WiFi signal blocker can solve information security problems,so it is very important to use it for WiFi security hidden trouble. You may be hesitant to install a WiFi blocker in your home, and you may feel that the device will have a harmful effect on our body. What I want to explain to people, is that the wi-fi jammer only jamming with the corresponding signal, and the blocker device generates less radiation than your cell phone, it's almost certainly not harmful to the human body, so you can buy it. WiFi jammer is the purpose of shielding the wireless signal, to cut off the network connection between WiFi and mobile communication equipment, jammers open, of course, at this time can't connect WiFi network communications equipment, wireless connection can be evaded, makes some WiFi signal equipment is paralyzed.The most obvious aspect is that the privacy of highly classified documents is likely to be attacked by hackers, and wireless networks are vulnerable to hackers. On the other hand, WiFi and bluetooth can track your location and the main work of triangulation similar to the position of a mobile tower. So, it's easy for other people to know where you are, it's not two people's lives and work. In this case, the WiFi blocker can help eliminate potential hazards.